This last (Easter) weekend Donna & I were blessed to have each of our four children along with their complete families and/or significant others spend portions of the Holiday with us. We arranged to get all of our progeny together for a photo shoot. The group assembled at a local portion of the Cleveland Metro-park know as "The Music Mound". We took photos with three different cameras resulting in several very nice shots. Loren and his spouse Jennifer had their wedding at this same spot nearly 15 years ago so it was of special significance to them. The group also gathered together at a local restaurant on Saturday evening for a belated celebration of Damon's March Birthday. I really enjoyed seeing all of the trees budding out and many of the fruit trees coming into bloom. Being out seeing this spring wonder reminded me of our years in Japan and in the Washington, DC area. In both of these venues we were fortunate to enjoy the annual blooming of the cherry trees. 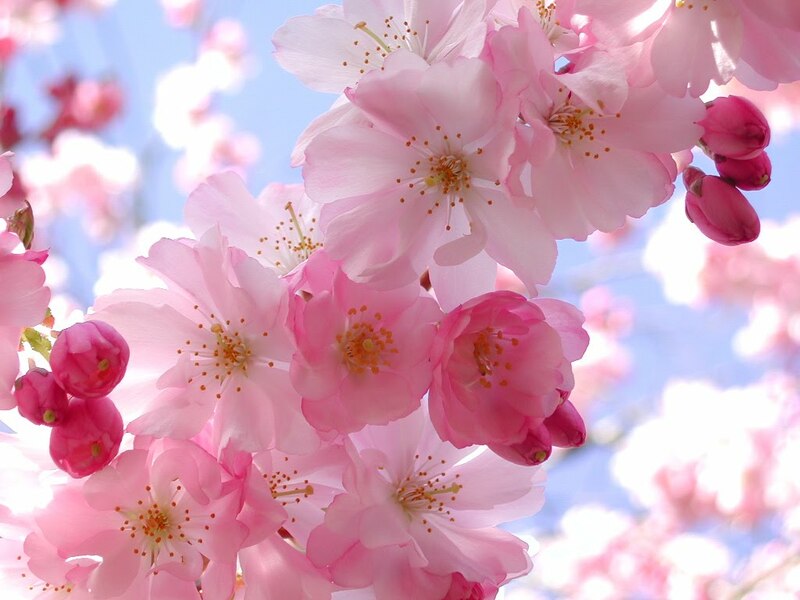 In Japan enjoying the cherry trees, is of such significance that it is considered a time of national celebration and is know as Hanami i.e., "Flower Watching", or frequently O'Hanami. In the Nipponese (Japanese) language the addition a "honorific O'" prefix at the beginning of a term is a way of showing an especially high level of respect or honor to that object or individual. The timing of the Cherry trees bloom is carefully monitored throughout the nation. The prime time to celebrate at every conceivable location is predicted. 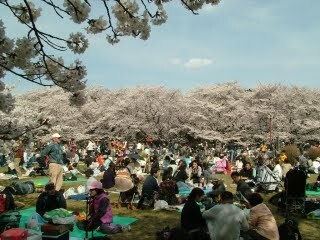 On the optimum days entire families gather together at the best nearby location to enjoy the absolutely stunning beauty of the Cherry Blossoms. These gatherings are normally at parks or temples. 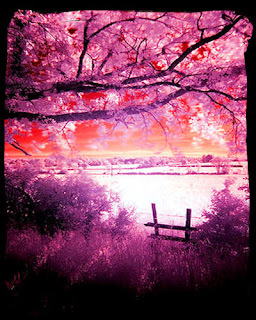 This is not viewing a tree here and a tree there...it is rows and rows of trees in FULL blooming glory. You look up, and in some areas you can't even see the sky because of the sheer number of light pink petals budding from every part of every branch. Looking beyond where you are standing, the horizon will be covered in PINK! It is breathtaking, I've never seen anything comparable. Those fortunate enough to experience this soon understand why the Japanese make such a big fuss over 'flower watching'---this is worth it! You may recognize this from the opening stanza of Bon Jovi's Tokyo Road. Typically it seems as though about 10,000 other people have decided to go to the park on the same day. So you look up to see the flowers covering the view of the sky---you look down and see thousands of people covering the grass. In some parts the green of the grass can't be see at all. Every patch is taken by people on "leisure mats" (picnic blankets), "O'bentos" (boxed lunches), lots of alcohol (This is one BIG party), snacks, kids, and pets. Amongst all of this there are people on bikes, maneuvering their way around the shoulder-to-shoulder crowds. Last year when thinking upon the cherry blossom season I prepared a letterbox which is now one of my seasonal garden boxes. After getting home from church Sunday I placed this box (Hanami) out for letterboxers to find and withdrew the Groundhog and St. Patrick day boxes until next year.